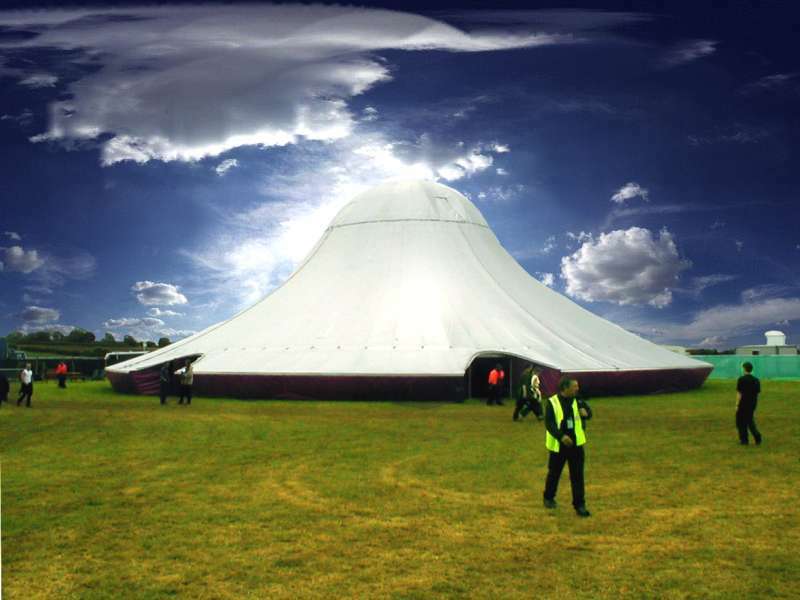 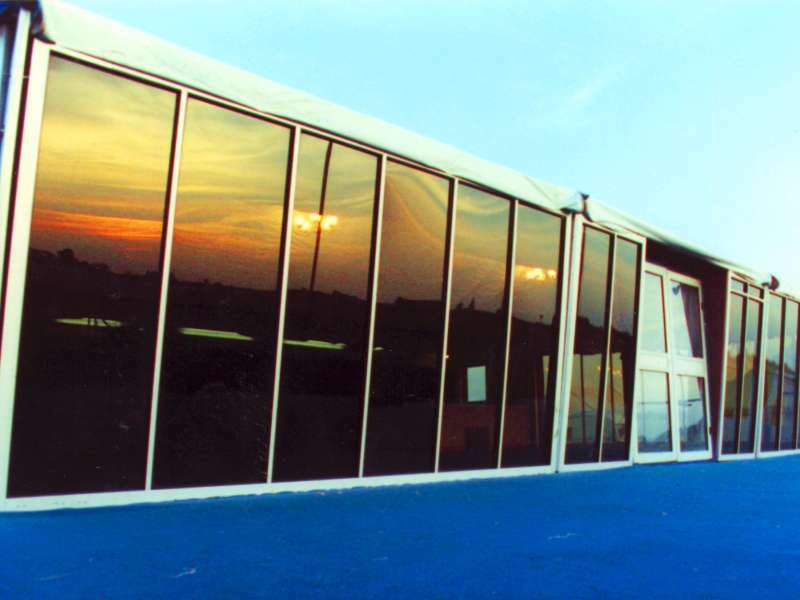 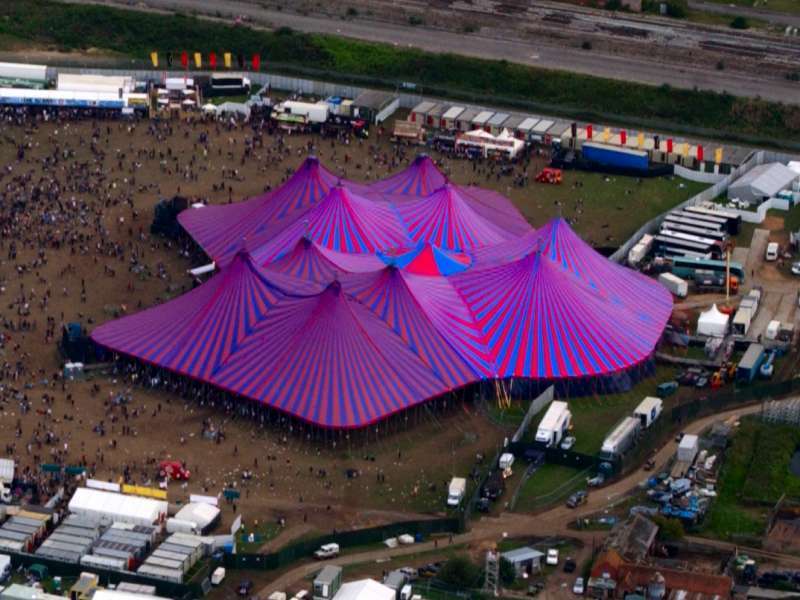 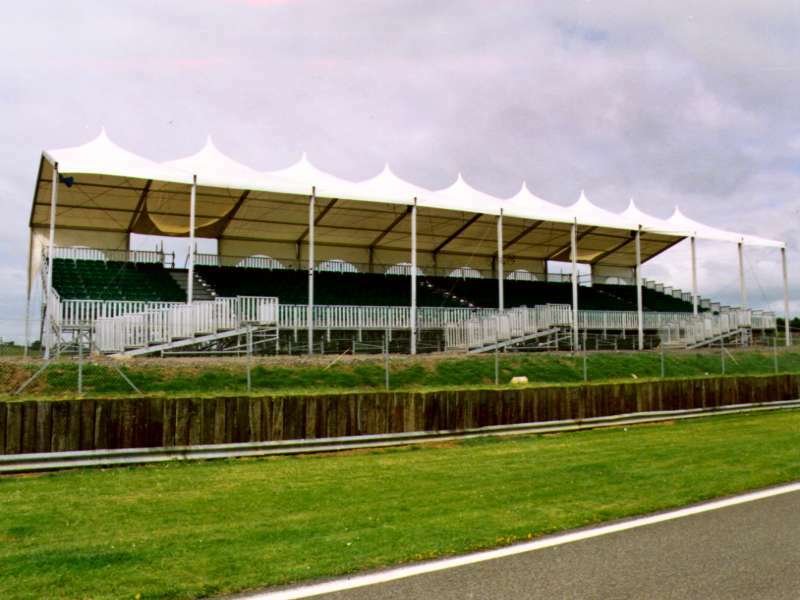 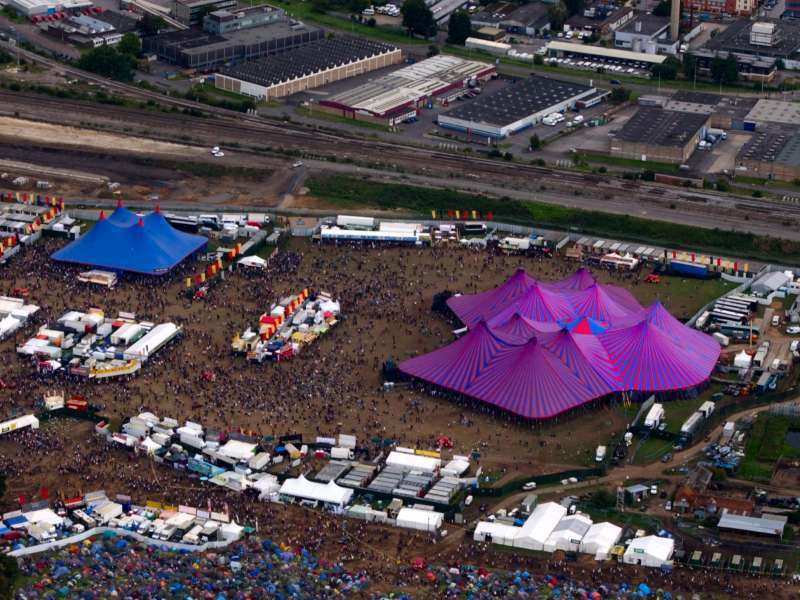 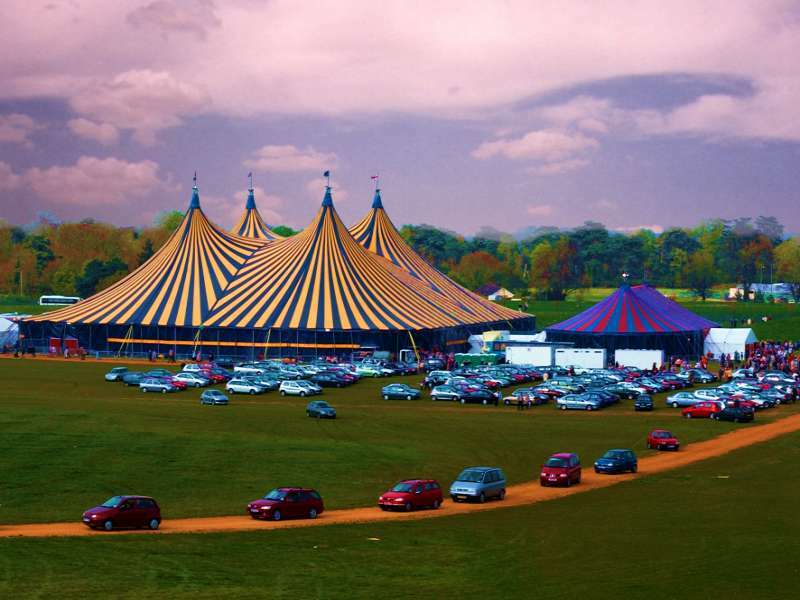 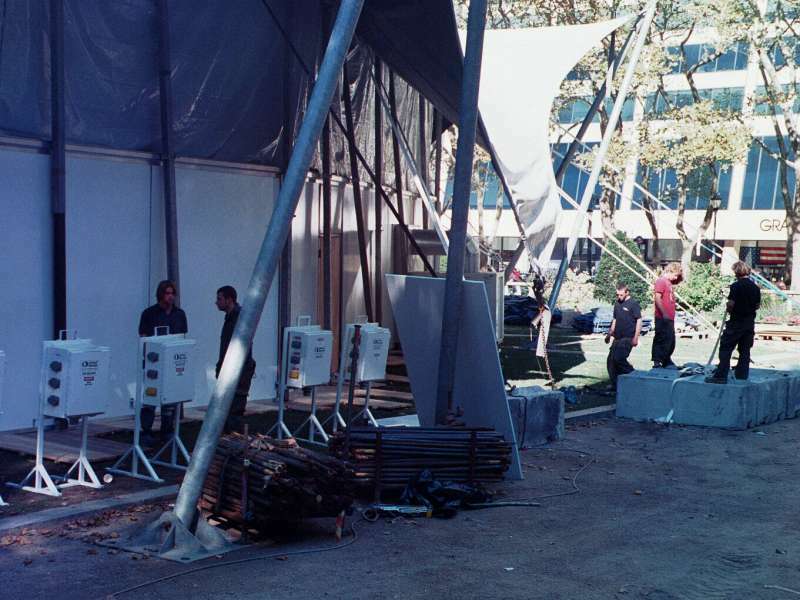 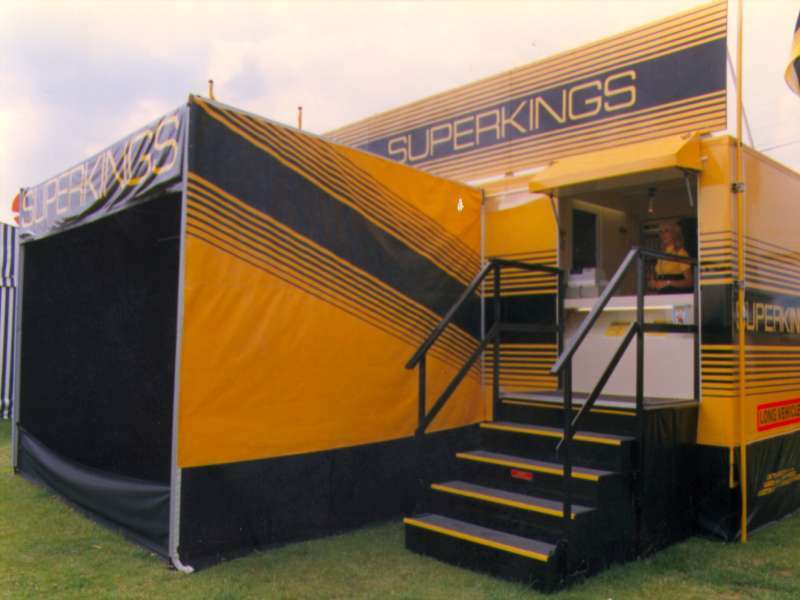 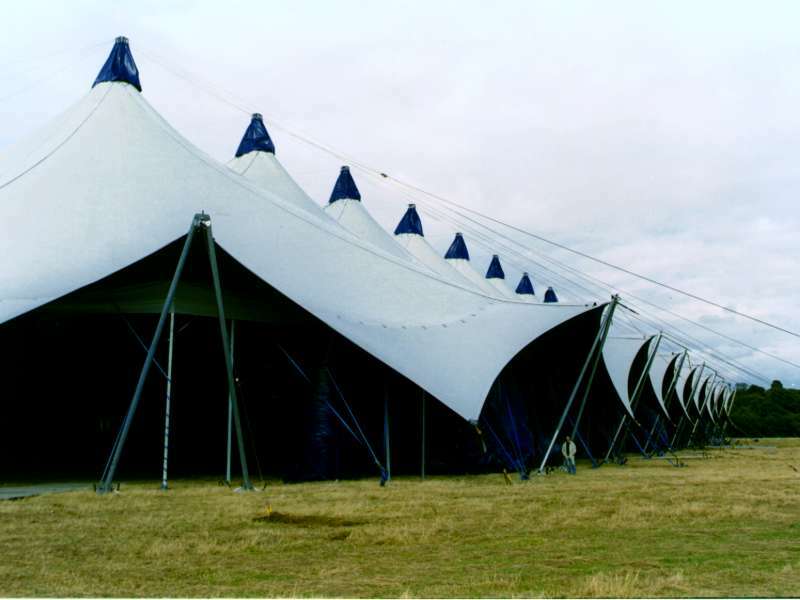 Our portable structures have re-defined the scope of what is possible with large membrane constructions. 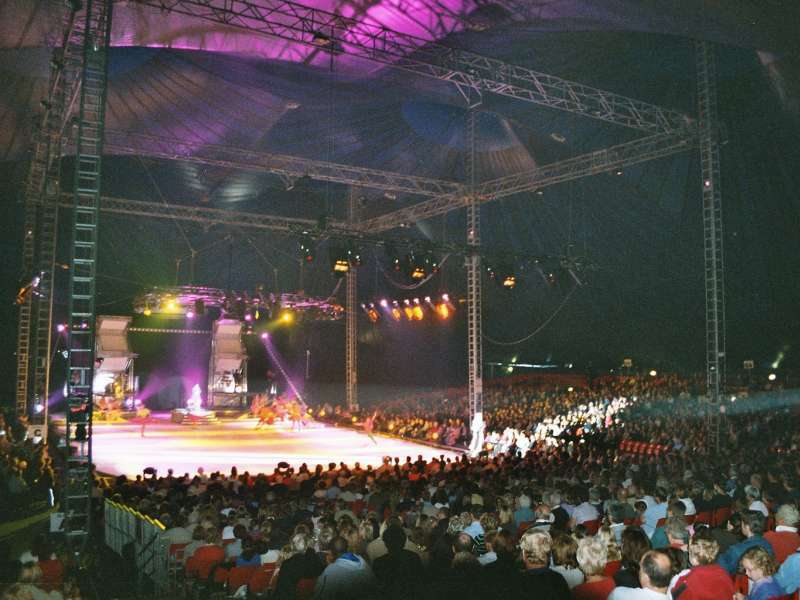 The recent Rudi Enos design for the MegaDome has a centre section which is supported only by the membrane and covers more than 2,500 square metres or 27,000 square feet. 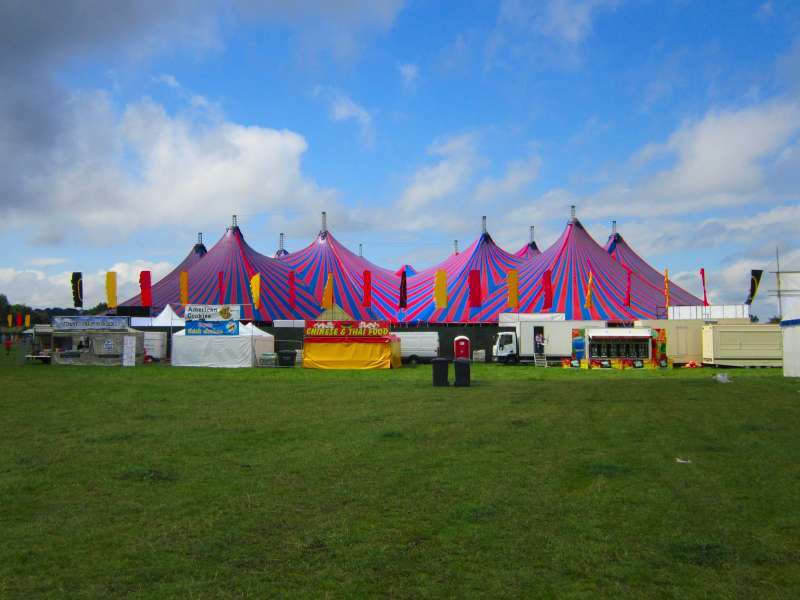 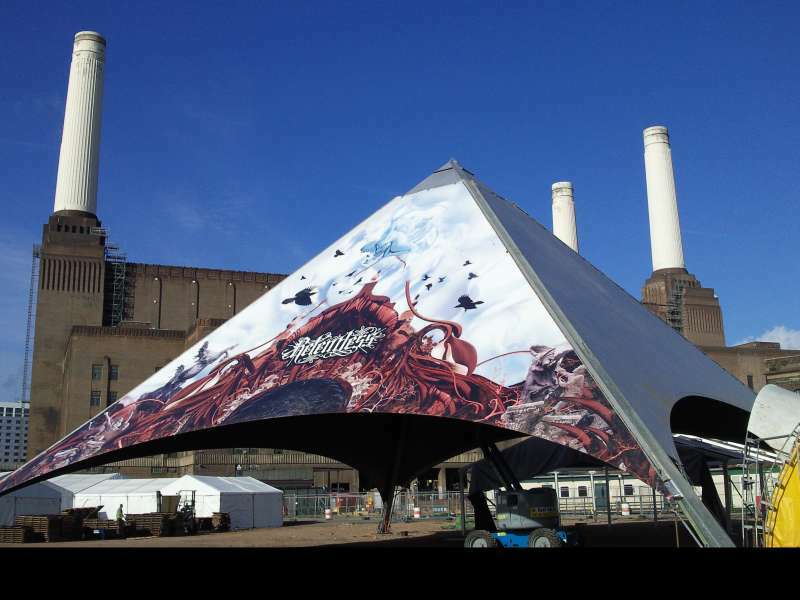 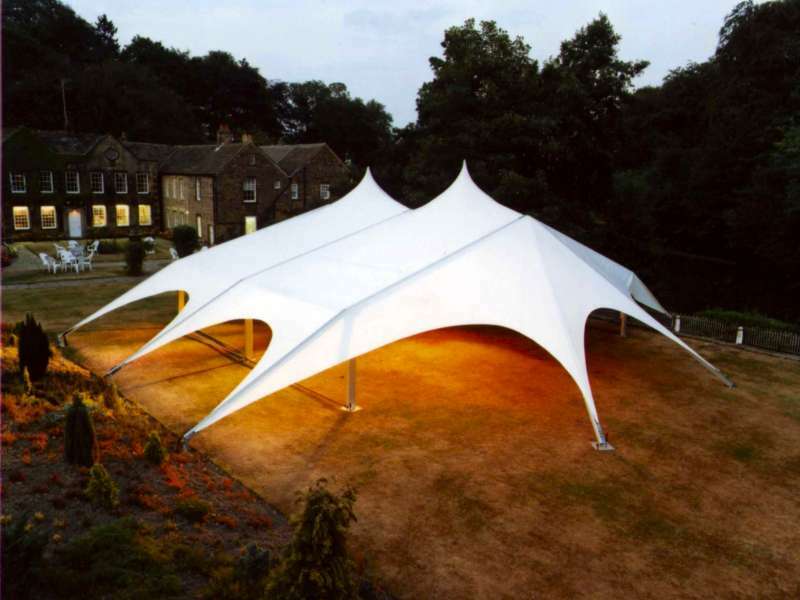 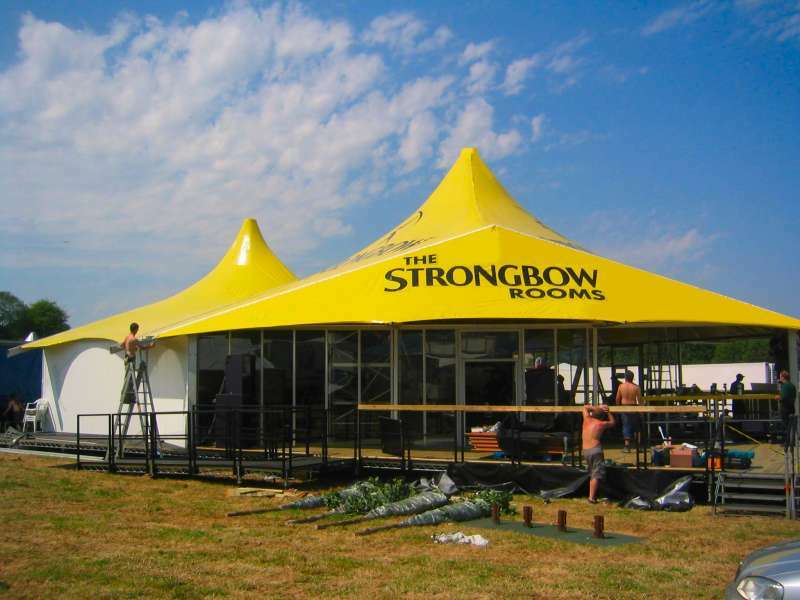 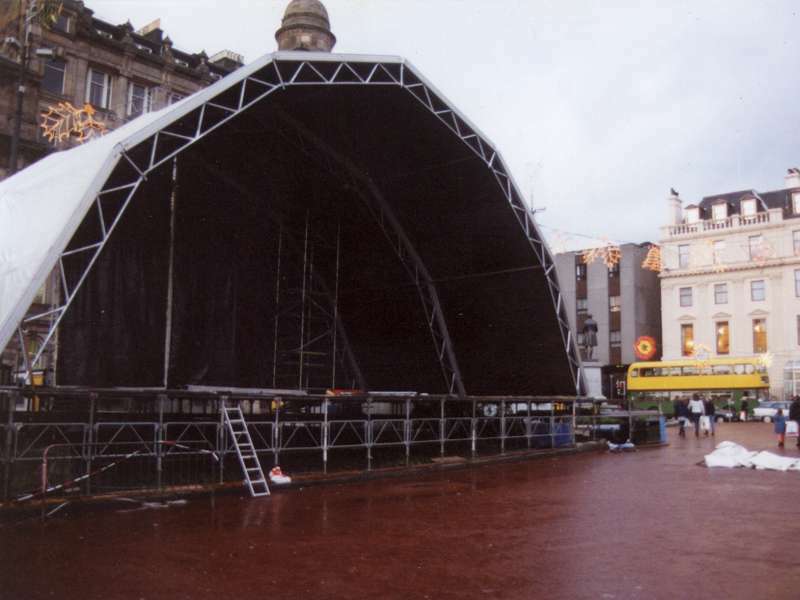 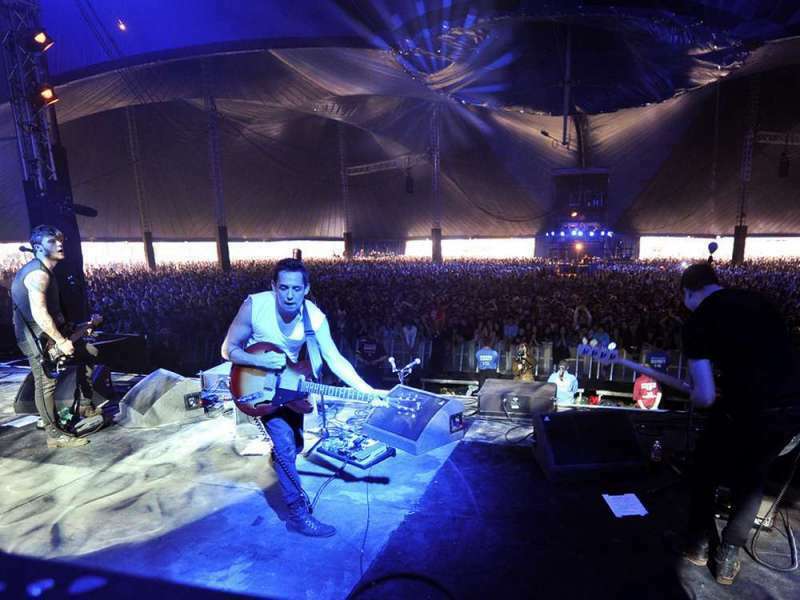 This provides an unrivalled clear area in front of a stage or performance area, completely uninterrupted by supports or masts. 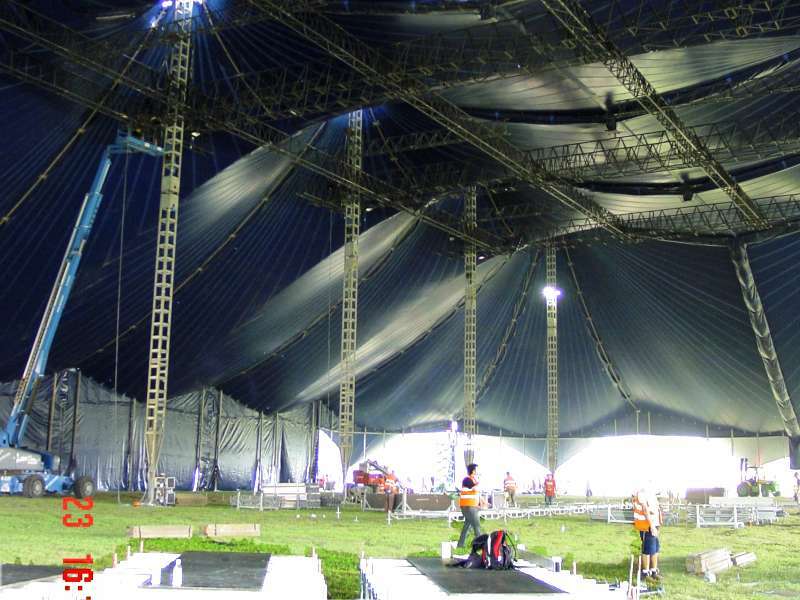 SSL engineered the 2,600 square metre (28,000 square feet) centre section of the membrane supported roof using NDN Membrane, the ground breaking new software from Martin Brown, the engineer resposible for the Millennium dome in London.